Starting to work with the Amelia plugin is easy. All you need to add is at least one service and at least one employee and you can start using booking forms. In this section we’ll quickly run through the fastest and easiest configuration and use case for the Amelia plugin, without going into excessive detail – so you can get the look and feel of this reservation plugin for WordPress – and we’ll provide links for the next steps throughout the post and in the end. The first thing to do is to create a service, i.e. the activity that customers will book through your website. First of course you need to make sure Amelia has been installed and activated. Give a name to the new category and then click the “Apply” button. Once the category is added you can click on the “Add Service” button in the top right of the screen. A sidebar appears in which you can provide the service details. Mandatory parameters are: name, category, duration and price. If you wish, you can specify additional parameters (service picture and gallery, buffer time, capacity, etc.) – Read more about working with services on this page. Once the service is saved it should appear in the list. Employees are those who provide services to the customers (e.g. trainers, coaches, doctors, etc.). Each employee can provide an individually configured list of services, can have his/her own working schedule, and have other settings. In the first tab of the dialog that appears you can define your employee’s primary details. Mandatory details are: first and last name and email. Other details (photo, related WordPress user, phone, notes, etc.) are optional. 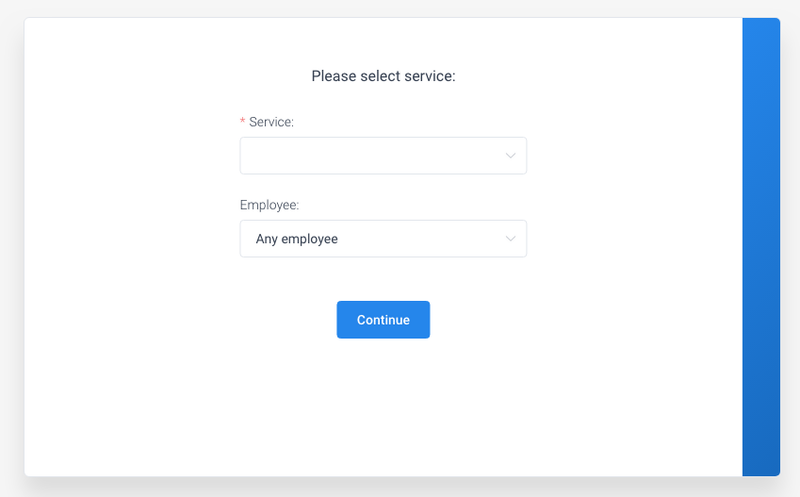 Before saving, the details, you need to go to the second tab, and tick the checkbox near the service we’ve created on the first step, to assign the newly created employee to this service. You can play around with other employee settings (individual service price and capacity, individual working hours and breaks, individual days off). You can read more about managing employees on this link. To allow your customers to book appointments, you need to add one of the booking forms to the site’s front-end. The Amelia plugin provides 3 different views through which customers can book appointments: Booking Search view, Step-By-Step Booking Wizard, and Services Catalog. You can read more about each of these in separate documentation pages. For, quickstart we will use the Step-By-Step booking wizard. Alternatively, you can manually type in the shortcode [ameliabooking]. 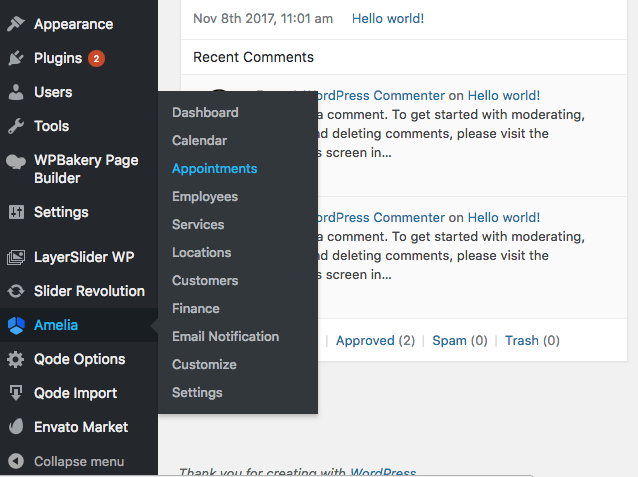 Once you have an appointment booked from the front-end you can manage it from your WordPress’ admin panel. As you can see from this quickstart guide, Amelia is not at all complicated to use. There is however a host of advanced features in addition to the basic ones describer here – such as configuring multiple locations, service extras, individual breaks for employees, group appointments, and others. Feel free to browse through the documentation to see additional tutorials and examples.